Food fads come and go, whether it’s the rainbow bagel, cereal at £10 a bowel or bars only serving water. However, Crosstown bring something different to the table, and it’s a drooling, glazed, mourish twist. Simply, great doughnuts, with interesting new flavours and made using a hybrid sourdough which gives them a stronger crumb and bread-like texture. Crosstown make all their jams, compotes, fillings, glazes and toppings in-house, too. So you can expect a fresh organic taste. 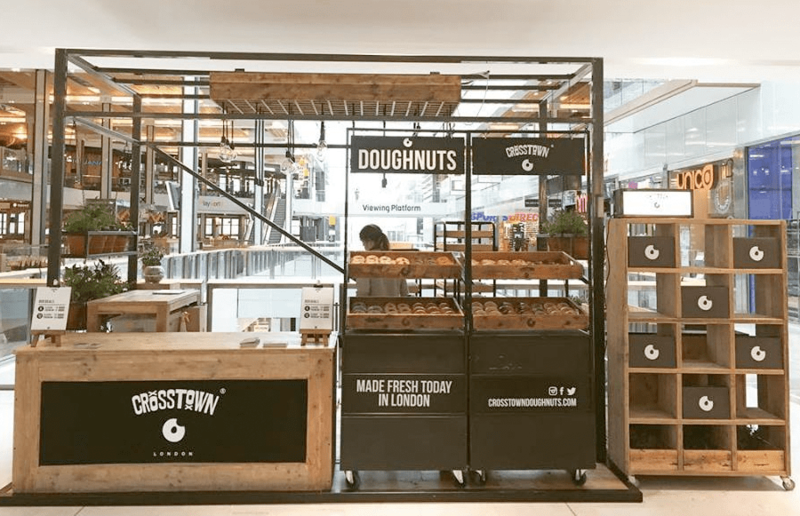 The doughnut stand launched as a market stall on Leather Lane in 2014, and have since expanded recently opening a new stand inside Westfield Stratford, as well as hosting their flagship store in Soho. Previously speaking about why Crosstown came about, JP, one of four co-founders of the company (one of whom, Adam Wills, also co-founded Gourmet Burger Kitchen), explained: ‘We felt there was a lacking of ‘proper’ doughnuts in the UK marketplace – someone who was creating interesting flavours made for the British palette, yet using quality ingredients. Because of the use of sourdough, the batter is both lighter and has less fat absorption compared to other doughnuts, too. So, don’t feel too bad munching into one. 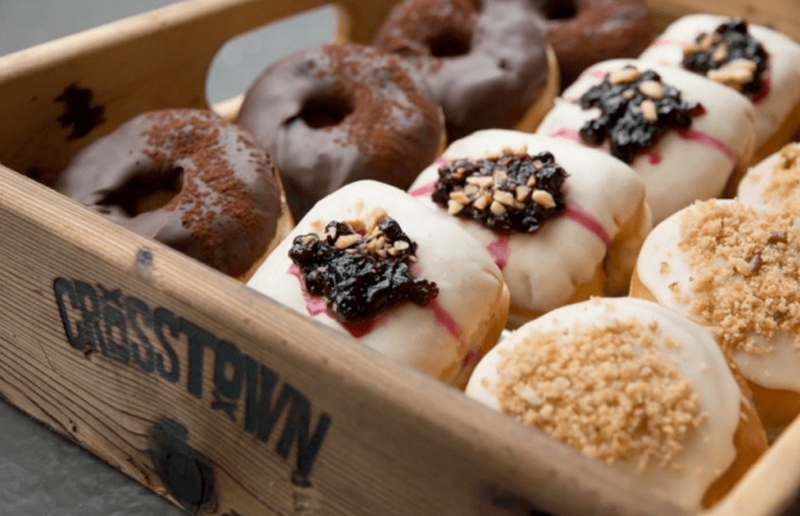 Crosstown offer a tantalising selection of flavours and doughnut styles, however here’s some of our favourite picks after a hard session of trying out their delights! Yes, it doesn’t sound like a traditional flavour of a doughnut. But it just works! 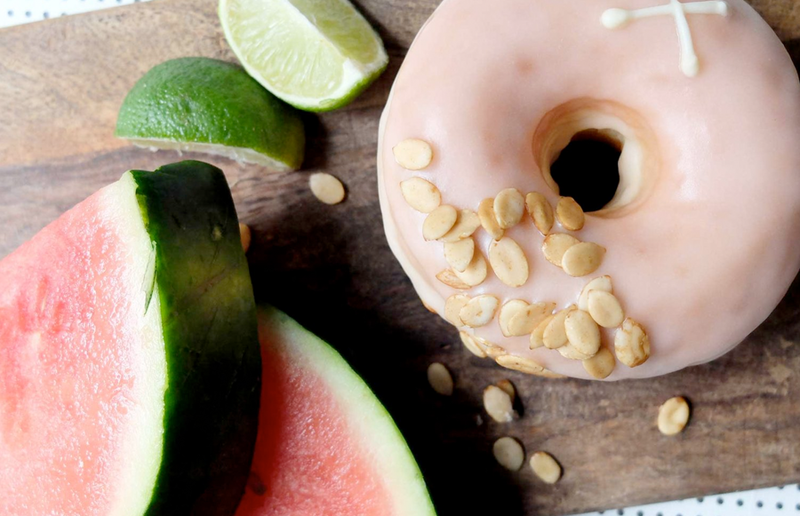 This doughnut is a signature Crosstown sourdough ring with a refreshing watermelon and lime glaze, sprinkled with toasted watermelon seeds. It’s a great twist, and is not as sugary or rich as other berry-based doughnuts. When a doughnut is right. It’s just right. These mini-doughnuts are bitesize balls of glorious sugar and dough and compote. 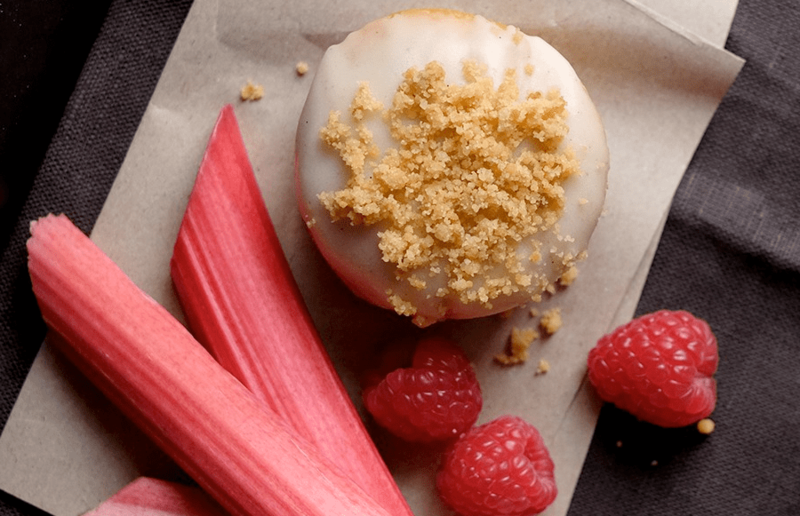 This particular pick from us is a sourdough doughnut filled with a tangy rhubarb and raspberry compote topped with Tongan vanilla bean glaze and home made crumble. When we collide we come together, Biffy Clyro once sang, and he was clearly singing about this doughnut. This little bundle of ambrosial joy is the ultimate in doughnut indulgence. Inside you’ll find a rich, vanilla custard all wrapped up in Crosstown’s very own melt in your mouth sourdough. 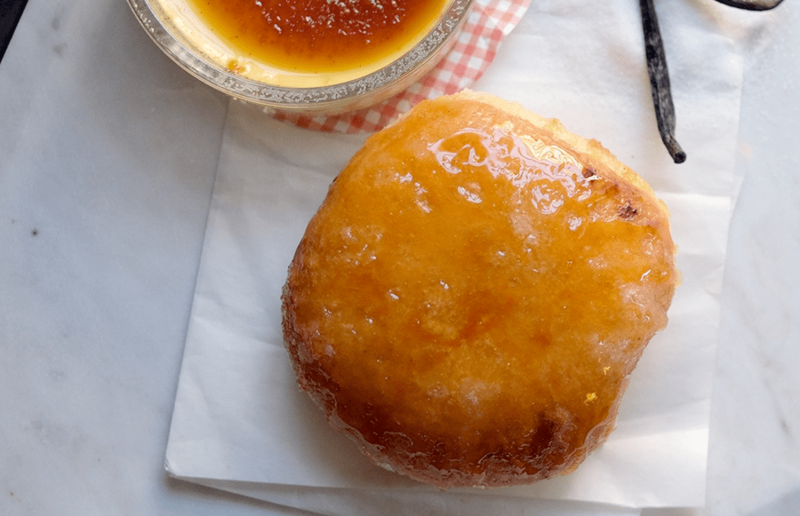 The doughnut is finished with a decadent crisp, caramelised caster sugar, courtesy a blowtorch. Nothing can beat a classic, and this classic is no exception. 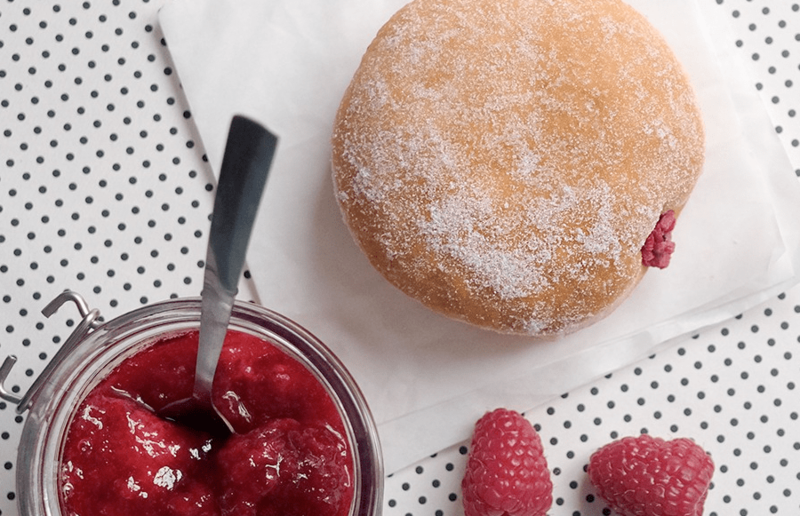 Crosstown’s raspberry doughnut is made with fresh raspberry home style jam, made from scratch. While still warm, they are rolled in caster sugar and dipped in sweet, freeze-dried raspberries to seal in the jammy goodness. Want in? Check out their London delivery offer on their site, and see the full doughnut menu. Crosstown will be at Westfield Stratford for the next eight weeks.